In this thread I will speak of units and tactics at a "high level", meaning this doesnt apply to your average user, nor to your public games. Instead, think of Championship or Alliance Challenge level. Artilleries are way too powerful. The value they offer is insane. They are the only units in game that can attack enemy ground units from save distance, without receiving any damage, while dealing a lot of damage. Having a batch of artilleries in a stack is like dropping a tactical nuke every 60 minutes on your enemy. What is the artilleries role in reallife? Break heavy enemy fortifications? Siege him? Poke him? Annoy him? What is the artilleries role in this game? The very best solution for anything ground based. Whatever the enemy has to offer you on ground, artillery is the best answer. Its high damage shreds through enemies and its mechanics make sure it stays safe. The game is a game of artilleries. What decides wars is not the grand strategy, but your activity and the ability to hit the enemy artillery without getting hit yourself. The rest of your units have gotton one sole purpose: Enabling your artillery. In one championship round I was running this set up: 1 Awac to give my artilleries vision, 20 artilleries, 15 mobile SAMs to clear the skies, 10 Air Sups to clear the skies from helicopters. The result? Winning the final war against a player ranked in the top 10 in the leaderboards with a 50 K/D. In another championship round I lost my home country right at the start fighting a 1v4. I had about 4 artilleries. This is the result: 6'943deaths vs 20'615kills. Why? Because I had 4 (later only 2) artilleries. I only surrendered until the enemy got Strike Fighters while I couldnt produce anything to counter it. In an alliance challenge against Graywolf (ranked #4 right now), I achieved a K/D of 49'466 kills vs. 5'827 deaths with artilleries only. I hope I don't need to explain further why artillery is too strong. Most notably, I would like to look at this particular match up: Tanks against artilleries. Tanks are supposed to be able to run up towards enemy artillery, engage it in close combat, kill it! Why doesnt it work? The tanks get killed by the time they reach the artillery because artilleries deal so much damage and can move away from the coming tanks, stop for 3 seconds, drop their tactical nuke, continue running away. It gets worse the moment the artillery player drops some units, such as anti air and infantries he most likely has, in a province between tanks and artilleries to stall the push by 1 or 2 hours. Giving the artilleries even more time to shred the tanks! Further improve the tanks speed. Especially the tank commander! Yeah, cool, tier 2 gives +20% speed. But it doesnt change the fact that the commander itself has a base speed of 1.3 only. All the other tanks are faster, but it doesnt matter since the commander is the slowest unit, capping the stacks speed at 1.56. Look at the cruiser! Why does the tier 2 cruiser(eastern, Kara-class, speed of 63km/h) have a base speed of 4.5 and the main battle tank tier 2 (eastern, T-90, speed of 60 km/h) only have a base speed of 1.4?? Look at the towed artillery, it can simply fly away. The mobile artillery even has a base speed of 1.3 ! Catching up to it takes a very long time! And the MRLs? A base speed of 1.5. Getting tanks close enough is impossible. Reducing the speed of artillery is also a very good idea. Just don't take away the air assault ability of towed artillery, it is a neat feature and the 1 hour offload time limits its hit and run ability severely. It's all about making the speed difference between artillery and tanks bigger. Making it easier for tanks to reach the artillery that is running away. The artillery deals a lot of damage. Reducing it, gives the tanks more time to reach the artillery before the tanks lose too many hitpoints! It also takes away their ability to simply shred any unit that comes into their range. Tanks are one hell of an investment, super expensive, especially since they consume components and electronics, just like aircrafts and ships. If my team uses ships and aircrafts (very likely), we will have plenty of supplies leftover and try to not use components-electronics units since we don't have much choice looking at ships and aircrafts. Therefore we are more or less forced to go for artilleries that don't cost electronics+components, instead, they cost supplies+something else. Which suits our economy much better than those tanks, which cost more than artilleries anyways. The artillery has to set herself up to shoot after moving. After the artillery moved, it needs 15 or 30 minutes to set up, only afterwards it is in "shooting mode", bombarding everything in range. BUT, it cannot move! If it wants to move again, it needs another 15 or 30 minutes to unload, only afterwards it can move once again, but not shoot. First, it removes the annoying "ticking", thats the tactic to hit the enemy with your artillery without getting hit yourself. You decide battles ONLY with this "ticking", whoever has more activity and is better at it, wins the war. Thats all. No grand strategy involved at all. Second, shoot&run no longer works! Everytime you want to shoot while you run away from tanks, you must set yourself up and then unload again, which costs you a total of 30 or 60 minutes! Making it a lot easier for tanks to catch up to these artilleries. Artillery is my weapon of choice because I can fire at enemy units from a safe distance without receiving any damage. DORADO: Sorry, but this is a bit like comparing apples with pears - Cruisers really don't have a lot to do with Tanks. Neither are all other tanks faster nor is there any need for this. We give naval units loads of movement for totally game balancing related reasons - otherwise playing naval would be like watching paint dry. DORADO: So your plan against Arty is... rush it with Armor or Inf? I think there is one very obvious lesson we can all take from WW1, and that is that these tactics are suicidal. Arty is the queen of the battlefield. If you want to see what modern arty does just check out Youtube. There are enough military videos showing the absolutely insane destructive power of modern arty. It's accurate, it's armor penetrating, it's anti-personnel. It's also usually really weak against airstrikes, be it Helis or Fixedwing. DORADO: We actually already pulled down the prices of tanks in several steps - just check the logs. To me this looks like you are tailoring this at one specific strategy (Air and Naval +X). We obviously won't balance in this direction cause that would leave anything else lacking. All this said, I would be very interested how other pro-players see these topics and welcome a healthy discussion - potentially I am just not seeing the important piece in the puzzle. So let's by all means discuss further. Above is not meant as a rebuttal - I do understand that Arty is powerful (it is indeed) and if general consensus is such that for some reason or strategy it has become the dominating factor in the game we should very closely look at it's strengths and weaknesses and find better solutions. So: Am I against nerfing Arty? No - it's just that above doesn't yet really convince me we should. What is the purpose of tanks? There are 3-5 different tanks, most notably the main battle tank and the armored fighting vehicle. What are these units good at, that they are worth the investment? Why shouldn't I invest in ships, aircrafts or artilleries instead who have clear purposes? If they are not meant to charge at the enemy, the only purpose I've seen so far is being a meatshield to protect the artillery. Which doesn't sound very awesome in my ears. At a later point I will elaborate why artilleries are the defining factor to win a war. I like Arty (esp. the towed one with Air assault upgrade) and the Rocket Arty. Yes they deal a hell of damage and thao over a nice Range and without gettin harmed but that is exactly what they are designed for. As I Understand the World and modern Conflicts, the purpose of Tanks is not du crush enemy atillery. Tanks should be used as Shocktroops to break other major Battelformations. If you look after the Mobile Arty theese guys are so fast IRL, just to look at the "Panzerhaubitze 2000" these guys are Ready for Fight in nearly no Time and can shre da Tank division with bomblets 40KM away in under 1hr. I know - a setup timer would indeed be cool - thing is we would need to code it especially for the arty. May be worthwhile though. Initially that was the reason we made them "slower" but obviously this workaround has many drawbacks and kinda breaks the suspension of disbelief. In this game, there are many units and many roles your "unit set" must fill. The most important role you must fill are the "killers"(or "main units", a more friendlier term). They attack and eliminate enemy ground units. Only this way, with enemy ground units out of your way, you are able to conquer and permanently hold enemy territory. Thus, they are the most important units (role) in the game. Tanks and Infantries are somewhat difficult. They are very unreliable. If the enemy uses artilleries, his hit and run will eventually kill your tanks and infantries. And after your main units(your most important ones) are dead, you are in deep trouble. You no longer have an effective way to kill enemy ground troops. You lost. Considering that artillery is very often used, betting on tanks and infantries to do your job is rather suicidal. Furthermore, every time they engage, they are set to take damage. And healing that damage in hospitals often takes too much time that isn't affordable. They are also difficult to use, they have to get to the enemy to fight him, attacking the enemy on his grounds in his defense is rarely an advantage. Buildings such as bunkers or combat outposts generate a lot of value too for the defender. Missiles are just expensive. To use missiles as your primary weapon to get rid of enemy ground troops is not only expensive given the missiles themselves, but also require a lot of "missile shooting capabilities". At best, they are good at assisting other main units to do their job. Such as softening a big stack. They are also defendable with a bit of Anti Air. Heavy Bomber, Helicopters, Strike Fighters are all air units. Each of them share 2 common significant weaknesses: Air Superiority Fighters and Anti Air units. Both are absolute hard counters. Using aircrafts as your main units, it usually means attacking the opponent. 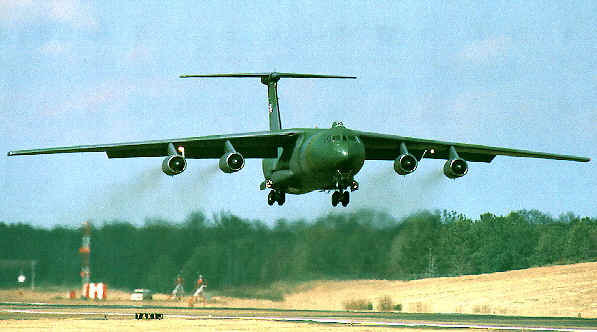 Just like infantries and tanks, you have to get your airplanes up close. Which means attacking the enemy in his defences, in his airspace(over his territory which he should always cover with ranged anti air (Sams/ TDS, Frigate)). This makes it very easy for the enemy to defend your air units with air superiority fighters, a deadly and easy counter(If your air stack makes contact with enemy Air Sups, huge casualties!). At last, it requires activity. Every air attack usually results in damages recieved. Many air units even in many casualties or the total loss. Thus, Air units as main units are counterable, actually fairly easily, without needing permanent activity. There is a certain limit. When the enemy has enough Anti Air, that no matter how many air units you have, they won't get through. Maybe you are good enough to be able to bunny hop up close to the artillery. You would have to engage all artilleries at the same time though, otherwise his other artillery stacks will rip your troops apart. It could work, but it requires an unbelievable amount of micro management, an enemy without anything to hit helicopters, also requires the right techs. You would actually have to commit so many resources to research those units to make it work (tank destroyer, mobile Anti Air, Air assault infs/Recon Vehicle), 3 units just to destroy enemy artillery. Air Assault, Spec Ops both have another strong disavantage. The amount of resources you put into are only worth countering enemy artillery, little else. You have so many roles to fill, all cost so many resources, you rarely have resources left for such fancy units with such a narrow purpose. A high risk to invest in those units! "As I Understand the World and modern Conflicts, the purpose of Tanks is not du crush enemy atillery. Tanks should be used as Shocktroops to break other major Battelformations." Adding a set-up timer would not only be a reasonable nerf to the artillery, but also remove the annoying artillery vs artillery fight (which I am not keen to see establish here in CoN). Depending on the situation the 4 divisions I have can be recombined to fit the situation. I need to see how many more arty I can stack without suffering an efficiency negation. But the setup delay would ruin this, because they are already hanging overhead for an hour before they can be used. So I would vote "NO" for an artillery setup delay. I'm sorry, but if you use artillery this way, you don't use its full potential. Not only is towed artillery the weakest from mid to late game because of its inferior range, its also weak against armoured. Paratrooping your artillery close to the enemy isn't the smartest either, tbh. "In this thread I will speak of units and tactics at a "high level", meaning this doesnt apply to your average user, nor to your public games. Instead, think of Championship or Alliance Challenge level." I guess you didn't get the idea of what I use it for, I don't drop it on or near the target, I drop it in it's path on a mountain top. The unit was created for the mountains between China and Mongolia, I captured most of Russia from east to west and I had three enemy countries to my south. I needed something to slow the advance till my armored divisions could position. Mallahan is using them like a firebase in Vietnam - ensuring that the enemies path is potentially always under your fire. I like that. I think it's a very interesting discussion. You can draw a lot of good insights from it. Do not complain - fight! It depends what Mallahan is trying to kill. If he is trying to kill sole infantries, or a very small stack, that is merely trying to conquer empty provinces and not trying to kill anything, he is dealing with "break-aways". Such units try to be annoying, create a diversion, conquer empty territory so that the main stacks (if there is one) can continue pushing towards the objectives. If you use artillery to do that, its perfectly fine, but at that point, your artillery is fulfilling another role, your artillery at that point isnt a "main unit", instead, its a "break-away-killer" (highly mobile units aimed at killing break-aways easily without having to commit too many troops and time, Strike Fighters excel here). Artillery units as "break-away-killers" are ok, but not optimal since they take a lot more time than Aircrafts. If he is trying to kill a bigger stacks, his artilleries are "main units". And tbh, you should only use towed in early game because from mid-late they have the shortest range compared to mobile artillery and MRLs. If the enemy has artilleries, it matters, otherwise not that much. In the end, I am asking for an artilleries nerf because it is too strong as a "main unit", not because its too strong as a "break away killer". See, comrades, you aren't using infantry men correctly! With enough of them you can eventually overrun any artillery division! I'm going off what CoN was about a year ago (since thats the last time I spent a significant amount of time playing it) but I was able to overrun most arty units with infantrymen and tanks. Sure, I lost some people, but that's fine and about the set up timers, artillery units today don't typically take 30 minutes to set up the gun and fire, sure they took that long in WW1 when the arty pieces took like 20 men to crew per piece but in modern day artillery, air assault artillery to be exact, can get helicoptered in, set up, and get their shells downrange in 5 - 10 minutes. From what it sounds like, artillery should remain how it is, it should be a main unit. Mallahan is using artillery correctly, they should be sitting up on a mountain top with lots of units stacked to defend it, and then they can fire down on bad guys. If you try to infantry rush a good and active player with artillery, you will not lose 'only a few'. You can ask people in the championship. The fun part about towed is, you can let them hop around of those infantry, so they will have to run in circles until they got annihilated. We are actually following this discussion closely and adjusting some artillery stats in today's update. Thanks for all the feedback - these discussions are most fruitful. We do not consider MobAA a Tank replacement and if he wants to follow that path he should see where it leads him. In early, i sometimes use MobAA as an hard HP reservoir to accompany the soft HP groups of infantries and artillery. it's not a tank replacer, but at least it provides some HPs. If I go Mobile Artillery, I go MAA first, they offer a chunky bit of amored meat for reasonable cost and good AA-protection. Later on I will go for ACV if I need more armor, needs less electronics and lesser HP in this case means easier to get it back to fullHP. Also it offers better air protection. Close combat stats are not really of importance anyway.